The dictionary says that “War is an organized action of aggression or defense, planned and prepared for in advance to achieve certain goals that have the approval of the tribe or nation. It is carried out primarily by men, but must be supported by women.” We can see by this common definition of war that it is outdated. Many women today support war by being soldiers themselves. War is one of many indicators that humanity has failed to create a sustainable human community. War is suicidal. War foreshadows the end of civilization. Is that what we want for our children and grandchildren? It is time for humanity to stop approving of war. The following content describes why. War magnifies the worst aspects of the human false self and makes it less likely that the compassionate True self will be expressed in our behavior. War brutalizes not only the soldiers but all of humanity touched by the war. “Once an army is involved in war, there is a beast in every fighting man which begins tugging at its chains.” Speaking is a young soldier just out of military school, George C. Marshall. That beast he speaks of is the false self and it is energized by the fear that attends the violence of war. We are not saying that a soldier is not compassionate, does not have a True self, but that the conditioning experienced in training for combat and the context of battlefield violence overcomes that innate human decency. Retired Lt. Col. Dave Grossman writes that methods that increased the firing rate from 15 percent [Korean war] to 90 percent [Vietnam] are referred to as “programming” or “conditioning” intended to address—or redress—“the simple and demonstrable fact that there is within most men an intense resistance to killing their fellow man. Studies show that over the course of our military history, American soldiers have become increasingly more willing to kill.” In short, war is dehumanizing. The American military over time has clearly decided to descend more deeply into the darkness of P-B. The U.S. government has been willing, due to increased fear over time, to allow its citizen soldiers to become more conditioned to violence, to allow them to repress their innate humanity in order that the civilians at home can feel safer. The irony is that many of these soldiers returning to civilian life are traumatized and act out their conditioning at home among family, friends and their community. A community at war, wars upon itself. “The invisible wounds of post-traumatic stress disorder, depression and family breakup have soared for the military along with repeated redeployments … The most glaring result is the 80% increase in suicides, averaging nearly one a day this year —the fastest pace in the nation’s decade of war. This is the second year in a row that more active-duty soldiers have been lost to self-inflicted death than to combat.” Such “wounds” as are mentioned above are invisible to the majority of Americans in a P-B context. To some of us, however, these results of the wars in Iraq and Afghanistan and the reactions of the soldier’s false self are only too predictable. 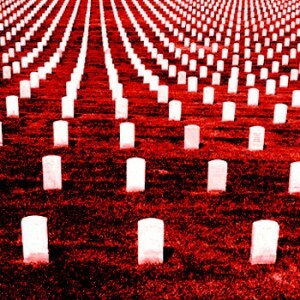 “‘Every war has its after-war,’ its consequences and reminders, he writes, ‘and so it is with the wars of Iraq and Afghanistan, which have created some 500,000 mentally wounded American veterans,’ a number that will have an impact on American social policy, medical care and the overall economy for years to come.” Such facts as these should have a sobering effect on the gray-haired “hawks” as they urge us on to another ill-conceived and fruitless display of American military might. Historian Will Durant sums up the unavoidable consequences of war. “Though there is drama in the details of strife, there is a dreary eternity in its causes and results; such history becomes a menial attendance upon the vicissitudes of power, in which victories and defeats cancel one another into a resounding zero.” Durant has also revealed the major cause of war, namely the power energy center of the false-self survival strategy. We probably couldn’t find any discussion of this reality in the Congressional Record in the days and months leading up to declarations of war. Neither those who fight the wars nor those who declare them know what they are doing or why. Let’s pause for a broad historical overview of war and violence on our planet. By war and violence we mean the history of human reactions expressed as international war, institutional oppression, failed states, psycho-pathological despots, colonial wars and civil wars to name a few. Bill Marsh, writing in The New York Times Sunday Review, says of the data found in his research: “The deadliest ‘multicides’ are more plentiful in recent centuries, given that there were more people to kill and better ways to kill them on a grand scale. Even so, killings as a percentage of all humanity are probably declining.” Well, we probably should take whatever good news we can get because it won’t be much. They made a desert and called it peace. The Roman historian Tacitus (557-118 A.D.) gives us the sobering realization that although we have known about the madness of war for some time, we seem to have been powerless thus far to do anything about it. Students of Simple Reality know why. Let’s see if we can’t spread that awareness around a bit more. Ian Baruma examines warfare and myth in his book Year Zero: A History of 1945. “All wars require a heroic narrative—to inspire soldiers to risk their lives and, afterward, to make them or their survivors feel they have not suffered or died in vain.” Such a mythical story persists about World War II where the so-called Greatest Generation fought the good war stopping the madman Hitler, punished the evildoers at Nuremberg and revived democracy in Europe and brought Japan into the community of modern nations. That’s what we want to believe. We also want to believe Parson Weem’s idealized biography of George Washington and the cherry tree. “I cannot tell a lie. I chopped down the cherry tree.” Balderdash! Washington was a politician and a soldier with a healthy false self like the one that runs our life. What is myth and what is reality? Most of us haven’t a clue. Keep reading for more objectivity. The problem with fabricating a myth instead of facing the truth of a war’s aftermath—which itself is an act of cowardice—is that it makes it easier for the war mongers to sell the populace on the next war. The self-serving politicians in league with the military-industrial complex are eager for the profits that a war makes possible. Sociologist J.C. Furnas noted a common byword during the American Civil War. “This is a rich man’s war and a poor man’s fight.” Beating the drums of patriotism can fabricate any number of seemingly rational reasons to once again rush into the “glory” of battle. But wars have always been and remain the creation of and for the oligarchs fought by the sons (and now the daughters too) of the masses. It was a time of great and exalting excitement. The country was up in arms, the war was on, in every breast burned the holy fire of patriotism; the drums were beating, the bands playing, the toy pistols popping, the bunched firecrackers hissing and spluttering; on every hand and far down the receding and fading spread of roofs and balconies a fluttering wilderness of flags flashed in the sun; daily the young volunteers marched down the wide avenue gay and fine in their new uniforms, the proud fathers and mothers and sisters and sweethearts cheering them with voices choked with happy emotion as they swung by; nightly the packed meetings listened, panting to patriot oratory which stirred the deepest deep of their hearts, and which they interrupted at briefest intervals with cyclones of applause, the tears running down their cheeks the while; in the churches the pastors preached devotion to flag and country, and invoked the God of Battles, beseeching His aid in our good cause in outpouring of fervid eloquence which moved every listener. The last thing the false self wants to hear is the voice of the True self seeking the truth. Mention should be made of the equally needless bombing of Hiroshima and Nagasaki when demonstrations of the A-bomb’s destructive power could have been just as convincing in areas away from civilian populations. Could it be that Americans saw the Japanese soldiers and women and children as the other? President Harry Truman expressed both his lack of compassion and his belief in the other when he approved the dropping of A-bombs on Nagasaki and Hiroshima. In 1945, Physicist Leo Szilard offered a simple, and less destructive choice to accomplish the same outcome. “One memorandum [was sent] to President Roosevelt who died during the very days that Szilard wanted the bomb to be tested openly before the Japanese and an international audience, so that the Japanese should know its power and should surrender before people died.” It is hard to hear the voices of reason amidst the clamor of war. The army lawyer, Aubrey Daniel, who prosecuted Lt. William Calley Jr. for the My Lai massacre of women, children and the elderly during the war in Vietnam analyzes the mass protests against Calley’s life sentence. “It was a country that wanted this war to end and a country that didn’t want to believe that this had happened. But if it did, it wanted to say that it’s our fault collectively, and not his fault.” Daniel makes a good point in that in a democracy, the people are responsible for what their representatives decide and for the behavior of their soldiers. However, those representatives of the people can make mistakes, colossal mistakes. “We of the Kennedy and Johnson administrations acted according to what we thought were the principles and traditions of our country. But we were wrong. We were terribly wrong.” The reactions of the very intelligent Robert S. McNamara and his colleagues were those of their false selves and he was right, their unconscious decisions led to unnecessary and egregious human suffering. His intellect and his realizations were too little and too late. Military weapons possessed by a nation have no power. The power is in the nation’s narrative which will determine when a nation goes to war and the reasons for doing so. Since well before the time of Homer’s great epics, The Iliad and the Odyssey, western humanity has believed violence exhibited in wars to be heroic, therefore, even if only subconsciously, many of us think wars are desirable. It is then easy for a nation’s leaders to lead the nation to war even though the rationale for doing so is specious. Recent wars in Vietnam, Iraq and Afghanistan were rationally indefensible but could rage for over 10 years because once started, it becomes virtually impossible to admit that the lives and money were being wasted. Most of the nation’s people join in the denial because the truth is too painful to acknowledge. The more supportable conclusion would be that as long as we continue to stick our heads in the sand and refuse to deal with reality, fear and violence will lurk just below the surface of our pseudo-civilizations. Wars are collective decisions by a nation either by conscious assent or by unconscious denial on the part of the majority. The majority of Americans as individuals either want a given war, reacting against an imagined other, or they don’t want to think about it. The ostrich provides an apt metaphor for the human tendency to leave our head in the sand for fear that we won’t like what we see when we retract it and look around. War does not decide who is right but who is left. “Every war is ironic because every war is worse than expected. Every war constitutes an irony of situation, because its means are so melodramatically disproportionate to its ends.” The gap between what is expected and what actually happens is similar to the gap between P-B and P-A, the gap between myth and Reality, the gap between madness and sanity. Pieties are ways to settle [or win] arguments before they begin. We need to question them, to see what they’re hiding. Multiply these pained reactions to the recent war in Iraq by a million and those echoing down through the ages by billions and we get some idea of the suffering engendered by thoughtless and fruitless wars. The arguments have raged but the end result of all of the heat in the absence of light is as Will Durant notes in the beginning of this article—zero! Are we humans a naturally violent species? The brief overview of our violent history might cause us to conclude that our species is just naturally warlike. That would be a fatal and sad conclusion because it is not true. Nevertheless, it is true that we homo sapiens must transcend our false self which is indeed naturally reactive. If we can’t accept the existence of a True self identity, then we are indeed doomed. However, even so-called uncivilized people realized the down-side of war. “The Maori people, original inhabitants of the Chatham Islands off the coast of New Zealand, employed several methods (including social ridicule) that prevented individual disputes from escalating into group-versus-group killings. The Batek of peninsular Malaysia consider overt violence and even aggressive coercion to be utterly unacceptable, viewing themselves and their larger social unit as inherently and necessarily peaceful.” Notice the role of their worldview and its resulting collective identity in influencing the values of this Malaysian community. The story we tell ourselves matters and obviously homo sapiens are not necessarily violent as this comparison indicates. As naïve as it sounds, whether the global village accepts war as inevitable because it is believed to be an unchangeable part of human nature or a choice was recognized long ago by the Cherokee tribe in America. A young girl is troubled by a recurring dream in which two wolves engage in a vicious fight. Her wise grandfather explains that there are two forces within us that struggle for dominance, one wants peace and the other, war. Wanting to know which wolf will win, the young girl anxiously awaits his answer. “The one you feed,” he replies. Seeing the wolves as the True self and the false self, we see the relevance of this dream to the content of Simple Reality and to the future of humanity. Is it those who use the arms who are guilty of butchering their fellow humans or the arms suppliers who provide and profit from the weapons? “Your country is responsible for nearly half of the world’s outrageous $1.7 trillion military spending, and home to the world’s largest stockpile of nuclear weapons.” Oscar Arias Sanchez puts the onus on the U.S. to assume a leadership role in reducing the proliferation of arms on the planet. The U.S., alas, demurs. In 2013 the United Nations approved the Arms Trade Treaty—an opportunity for the U.S. to take a leadership role in reducing war and violence in the global village—but the U.S. Senate would not ratify the treaty. “If we do nothing, what occurs? Nothing occurs. The conflict has no one to claim it. It has no energy. It has no opposite. It can no longer exist. It is no longer as aspect of our reality.” Steven Harrison in his book Doing Nothing, epitomizes divergent thinking on how to combat the violence-prone false self. This is his description of responding instead of reacting. Wars depend on our reacting and projecting our shadows on the other. As the Cherokee story about the wolf and the Hindu imagery relating to the false self make clear, the false self is like the bad wolf or a fire. If we don’t feed it, it will die; if we don’t resist and struggle against the darkness, the light will be revealed, the light of our True self. Too many people are stuck in the beliefs, attitudes and values of P-B with identities that promote and sanction violent behavior. Religious terrorists, Jewish extremists, Christian anti-abortion activists, Neo-Nazis, the American militia movement, Sikh militants, Islamic Jihadists and yes, even Buddhists in Myanmar. The postmodern world has essentially the same human behavior as the premodern world which we assumed was more prone to warfare. Both the premodern and the postmodern worldviews are versions of P-B. A new and, some would say, radical narrative is needed for the people of the global village. The likelihood of such a paradigm shift may seem remote or non-existent but those are nevertheless the two choices. Continue the direction we are currently going with never-ending war and violence or take the field of battle in the only “war” that makes sense, the war against war. As some of us take that field embodying the courage of our convictions, as advocates of Simple Reality we call upon our invincible compassion to provide our endless energy. We have chosen to embrace the light of self-transformation. We have chosen peace. Those who remain on the sidelines paralyzed by fear also make their choice to remain in the abyss of darkness, to remain unconscious. Fearing change they return to the all familiar dissatisfying hopelessness, they flee from Chimera, the she-monster of despair, while at the same time pursuing the illusions of pleasure, power and material wealth. Stumbling and groping in this darkness, nothing can be found that is real, nothing can be grasped that isn’t ephemeral, nothing provides what is truly needed, the light of courage.